WMMQ radio in Lansing, MI features this cool Robin Trower photo on one of their Featured Artist Playlist pages. 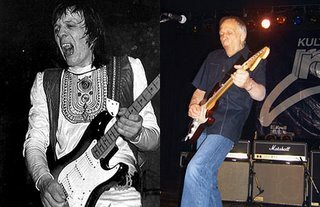 Robin Trower is still touring and playing his own special brand of modern blues guitar. I grew up in the 70's listening to a lot of Trower, and there is a lot more Trower to listen to today. 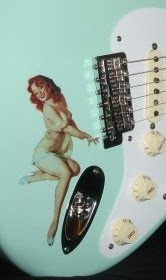 Many people my age wonder what ever happened to artists like Robin Trower. Well, the real question is, "What happened to us?". Legends like Trower, Jeff Beck and even Alvin Lee have never quit recording & touring. Hell! BB King and Buddy Guy are still touring!!! FM radio hasn't been kind to many of these artists, either. Fortunately, satellite radio stations like Sirius's Spectrum & The Vault are digging a little deeper. But even then, much of the more recent material from these artists gets ignored. So, get your middle aged butts off the couch, turn off the Jeopardy & Wheel of Fortune and catch up with your guitar heros! Trower is on tour currently. Click here to see when he comes to your area.